Come and walk or run with us on Mount Royal’s green trails and support the environment! You can do 1K, 5K or 10K, and participate as an individual or team, with friends, family, neighbours or colleagues. 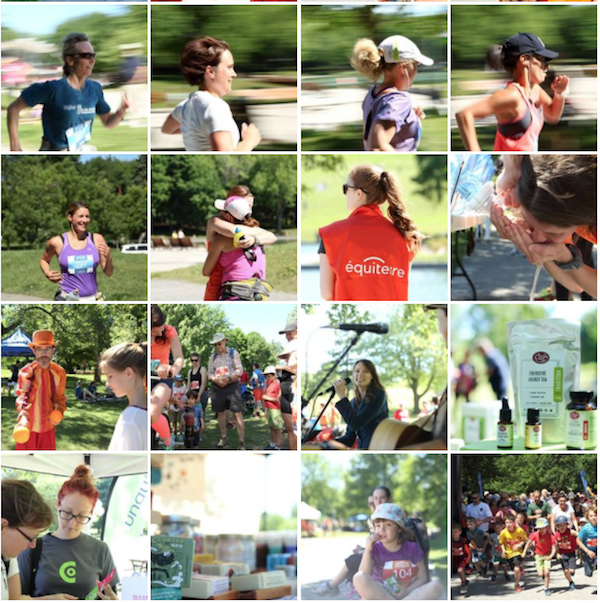 The second Change the World with Équiterre run—a 100% sustainable event—will be held on May 27. Our goal is to raise $50,000 so we can continue our mission and undertake transformative projects. We also want to set a precedent for sports events and show that it’s possible to hold a major event and respect the environment. Ever noticed the tens of thousands of plastic bottles littering the ground at marathons? The overflowing garbage cans? The glut of useless promotional items handed out? Some 400 people took part in the event last year—Quebec’s first ever 100% sustainable run—and appreciated the green measures that were implemented. 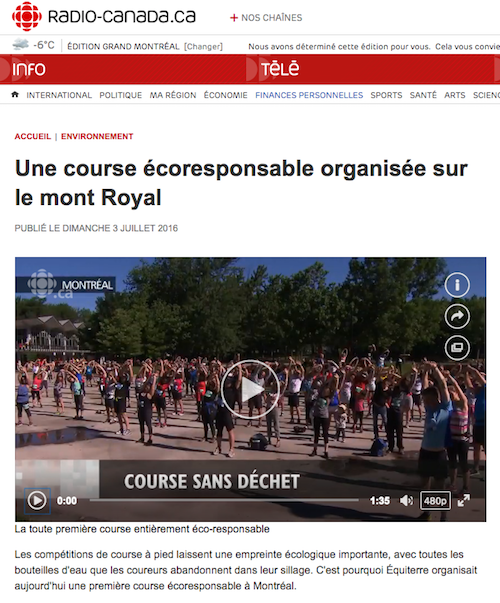 Watch Radio-Canada’s coverage of the 2016 run (French only). The proceeds will go towards promoting local organic food, supporting our research and initiatives to ban harmful pesticides, continuing action to block tar sands development and the Energy East pipeline, and encouraging the use of electric transportation and alternatives to solo driving. To help you help us, we’ve developed a few tools to make it easy to raise money for a cause that means a lot to you. You don’t need to be an athlete to take part. This is an event for everyone—young or old. You can even take strollers along. Why not encourage one or two members of another generation who share your environmental values to take part, too? Let’s get together, take action for the planet and inspire change! In order to get ready and motivated for the race, Steven Guilbeault invites you to run a friendly 3 km with him on Wednesday, April 12th departing at the Center of Sustainable Development in Montreal at 5:30 pm. Stay for a 6@7 after to share fundraising tips and to discover all the features of the registration and fundraising platform www.coursechangerlemonde.com. Please confirm your presence here before April 4th (registration required). We hope to see you on Mount Royal on May 27. Let’s build a cleaner, greener, fairer and healthier planet! Come and walk or run with us.